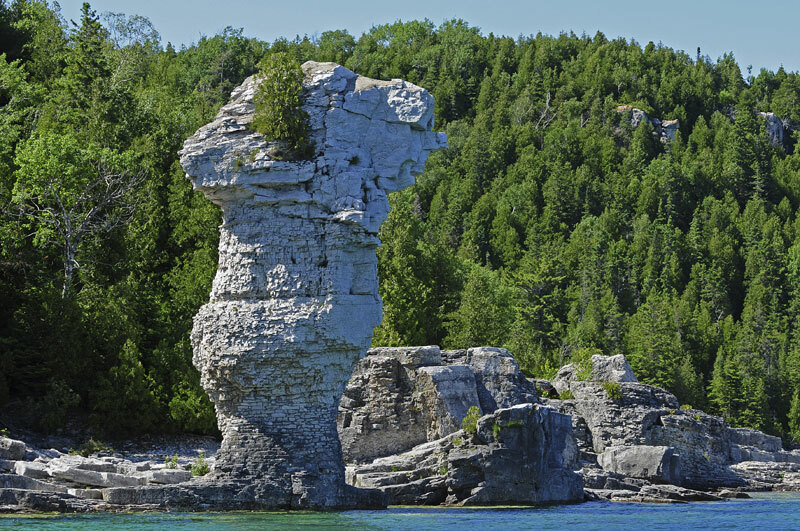 This leisurely paced self-drive holiday takes you right off the beaten track to the little-visited Bruce Peninsula, a haven for hikers, bikers and kayakers. 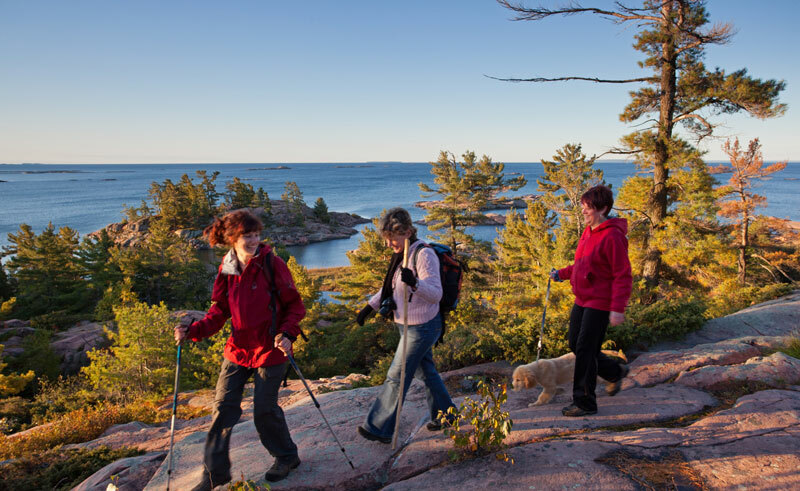 With plenty of leisure time at Blue Mountain and Tobermory, you can choose to be as active or as lazy as you wish! 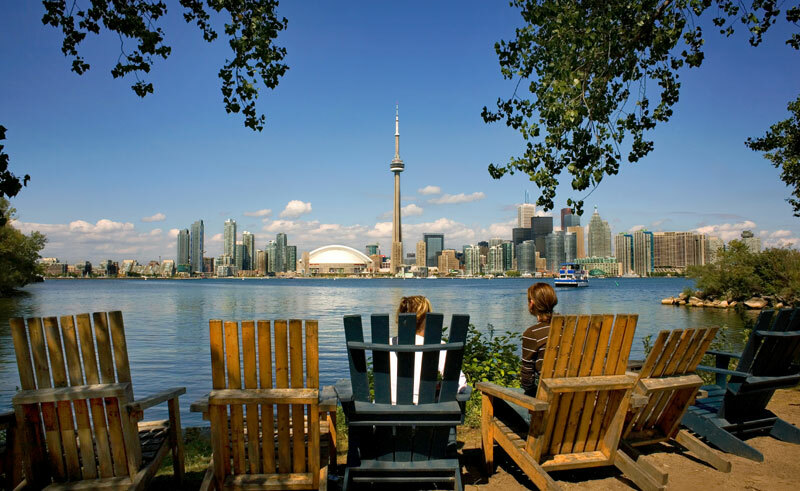 Time is also available to explore the walking trails of Niagara and the vibrant city of Toronto. From the bustle of Toronto you will make your way to the charming town of Niagara-on-the-Lake. An optional 10 kms riverside walk will take you right to Niagara Falls, the perfect way to avoid the traffic as you reach one of the great wonders of the world. From Niagara head northwest to the spectacular Georgian Bay area, driving through rolling farmland and rural villages. A 2-night stay at Blue Mountain provides easy access to a wealth of mountain trails and coastal walks. Continuing to charming Tobermory, you will have time for a leisurely exploration of the many scenic highlights of the Bruce Peninsula – perhaps opting to hike Canada’s first marked hiking route, the Bruce Trail, cruising to nearby Manitoulin Island or marvelling at the shipwrecks of Fathom Five National Marine Park. This itinerary provides ample time to explore one of Ontario’s most picturesque regions at your leisure, on foot, in the saddle or by boat, before returning to Toronto. On arrival in Toronto collect your rental car and make your way to your hotel. Overnight: Hilton Toronto. Make your way to picturesque Niagara-on-the-Lake this morning. The remainder of your day is at leisure – you may wish to take a hike along the Niagara River Recreation Trail to the mighty Niagara Falls, or join a guided tour of one of the many local wineries. Overnight: Pillar & Post Inn. Make your way north to Blue Mountain, located on the southern shores of Georgian Bay. After your long drive you may wish to stretch your legs this afternoon with a coastal hike, or just head to the beach to relax. Overnight: Village at Blue Mountain Resort. Today is free to enjoy all that Blue Mountain and the surrounding area have to offer. Spend the day exploring the miles and miles of white sandy beaches that flank Georgian Bay, attempt some of the many hiking and mountain-biking trails, or take to the water in a kayak. 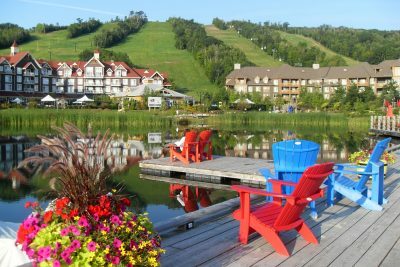 Overnight: Village at Blue Mountain Resort. Today you will continue your journey to the very tip of the Bruce Peninsula, to the attractive waterfront community of Tobermory. Overnight: Tobermory Princess Hotel. 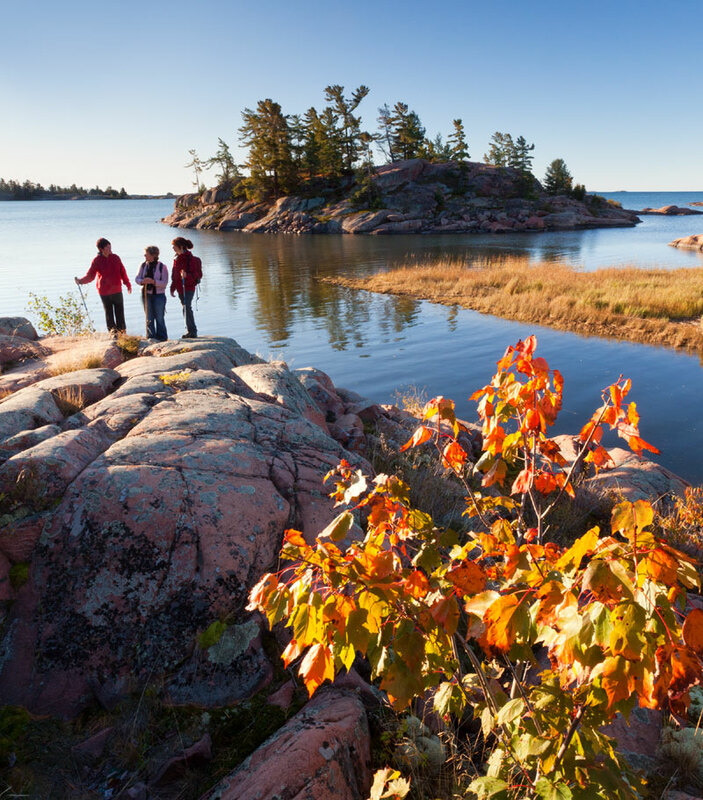 Spend a full day exploring this scenic corner of Ontario at your own pace. The Bruce Peninsula is surrounded by Lake Huron and water-based activities are widely available. 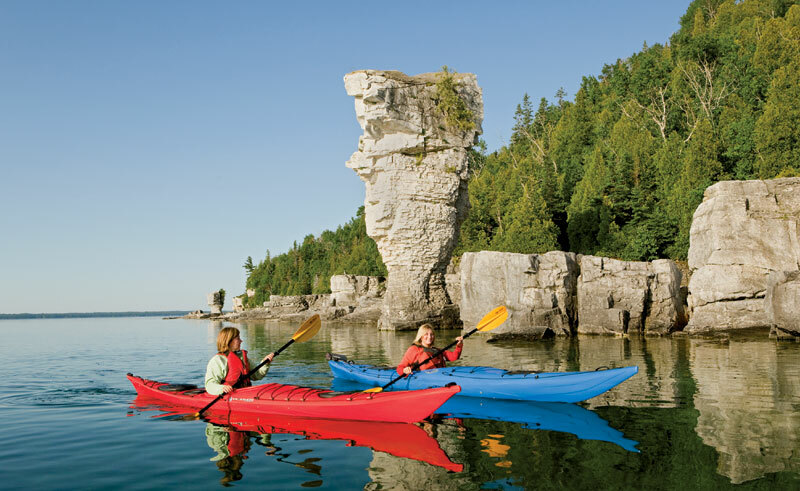 You may wish to kayak on Georgian Bay, marvel at the bizarre rock formations of Flowerpot Island or take a glass-bottomed boat to view the many shipwrecks of Fathom Five National Marine Park. 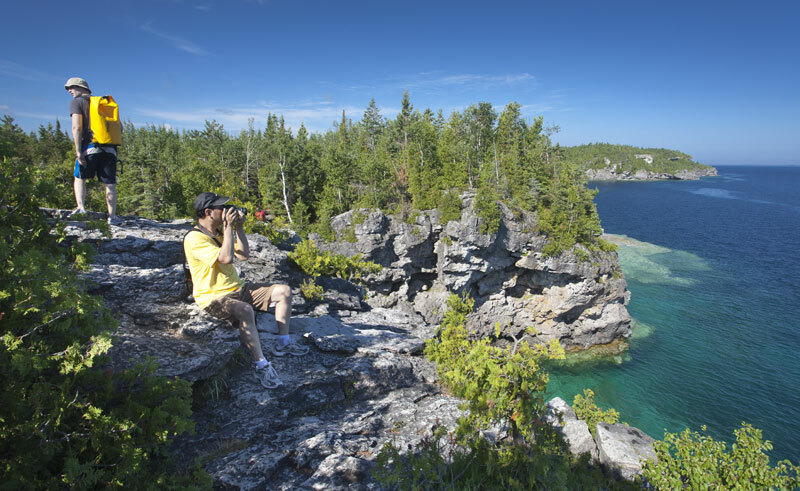 On shore, countless hiking trails await – visit the Grotto at Cypress Lake Provincial Park or follow the renowned Bruce Trail through Bruce Peninsula National Park. A short ferry ride away lies Manitoulin Island, well worth a visit for an insight into the region’s fascinating First Nations traditions. Overnight: Tobermory Princess Hotel. Breakfast included. Today you will leave the rural villages and deserted beaches of the Bruce Peninsula and retrace your route to Toronto. Overnight: Sheraton Centre Toronto. Breakfast included. Drop off your rental car at Toronto airport and depart. This beautiful country inn was originally built in the late 1890s as a canning factory, and now provides an elegant and relaxing place to stay in the heart of Niagara-on-the-Lake wine country. 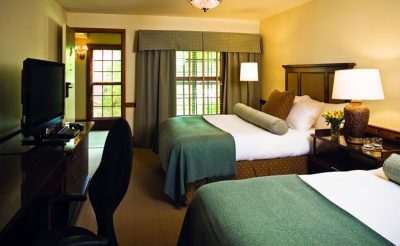 Found resting in the shadow of the Niagara Escarpment and boasting open views out across Georgian Bay is the 450 room Blue Mountain Resort.